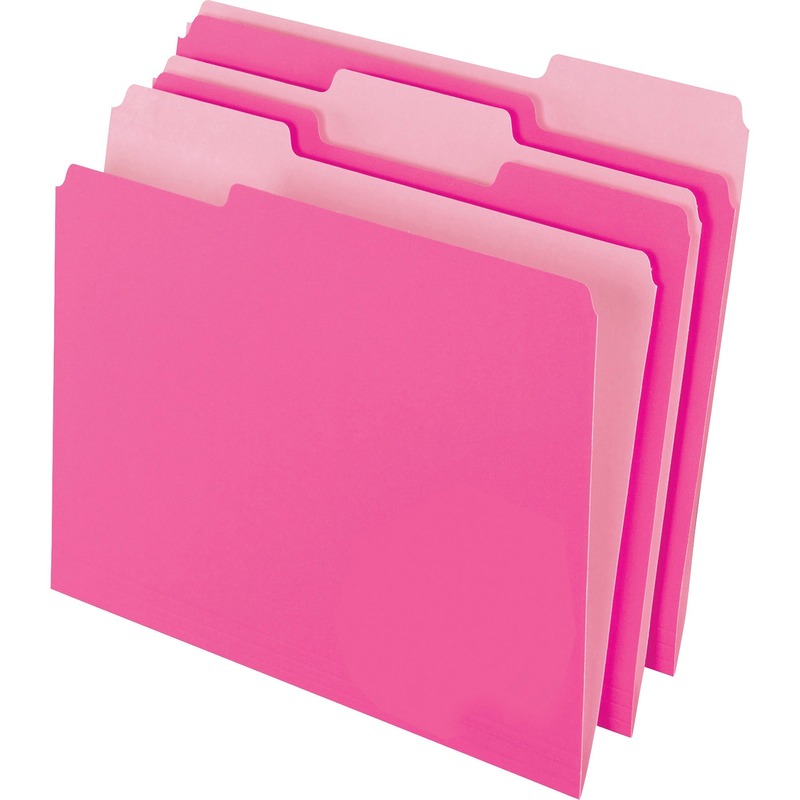 Only $24.62 Colored File Folders, 1/3 Cut Top Tab, Letter, Pink/Light Pink, 100/Box 078787023192 1521/3PIN ESSELTE PENDAFLEX CORP.
Two-tone color reverses to double the number of available colors. Various bright colors make color-coding easy. Interior is a lighter shade than exterior making top tabs easier to see, preventing misfiling. 11 pt. stock. Acid-free. File Folder Type: Top Tab File Folder; Size: Letter; Folder Material: 11 pt. Stock; Color(s): Pink/Light Pink.